$1049$10 and 49 cents$0.33 / oz. Shop c. Booth Honey Almond Firming Body Lotion (15.7 oz. )15.7 oz. $699$6 and 99 cents$0.45 / oz. 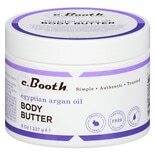 Shop c. Booth Egyptian Argan Oil Body Butter (8 oz. )8 oz. 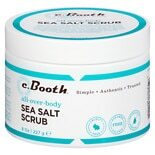 Shop c. Booth All Over Body Sea Salt Scrub (8 oz. )8 oz.